There are various kinds of sport in the world. And in the case of Japan, baseball is very popular among people of all ages from children to elderly people! There are some world-famous Japanese baseball players like ICHIRO SUZUKI, Hideki Matsui, and Yu Darvish. 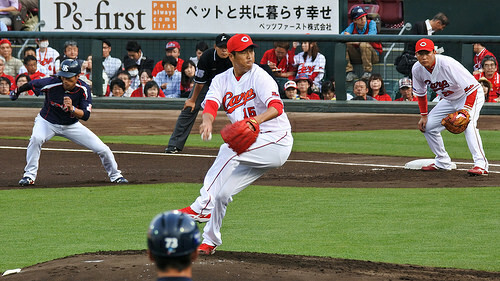 And also in Japan baseball is very popular as club activities at junior high schools and high schools. Now in this article we will cover the Japanese baseball. First of all, Japanese professional baseball. The major league of the US is famous all over the world, but Japan also has baseball leagues. Though there are amateur baseball leagues and women’s baseball leagues, the most popular ones in Japan are the Central Baseball League and the Pacific League of professional baseball. Each league consists of six teams and they continue to have a game among each league from the opening game held in spring to the Climax Series held in October, then at last the winning team will be decided. After the winning team in each league are decided, the Nihon series will be held to fix the best team in Japan. 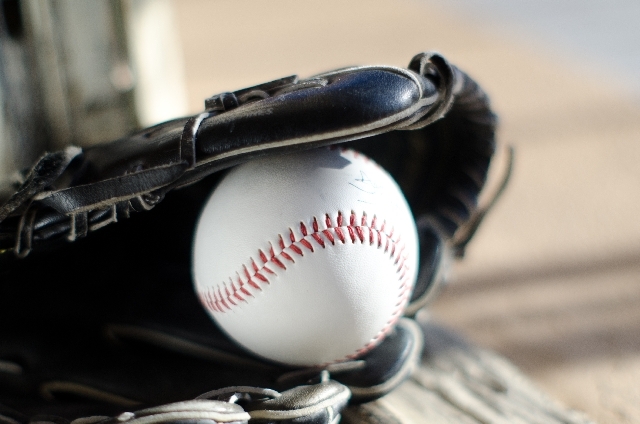 During the baseball season, you can enjoy the games on TV at home without going to the baseball stadium. Each baseball team has many fans. 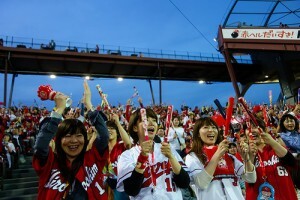 Although baseball is often thought to be popular among only men, the female fans are increasing recently. Especially Hiroshima Toyo Carp, which is one of the Central baseball league teams, has increased female fans rapidly after starting to sell goods for women. The women who support Hiroshima Toyo Carp are called Carp joshi. Second, we should not forget to refer to high school baseball in Japan. It is a kind of club activities at high schools as the name shows, but please don’t underestimate them. 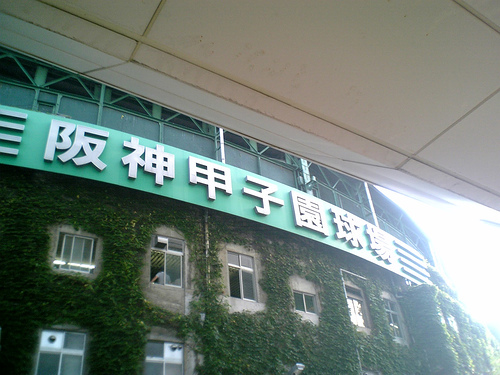 Since those students practice the same as the professional baseball players with studying at school, some of them play as well as the professional players. 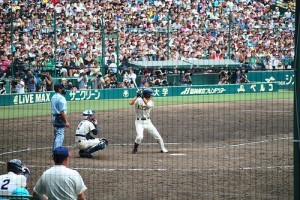 In the case of high school baseball, the national meet (zenkoku taikai) is held twice a year in spring and summer. Both are held at Hanshin Koshien Stadium in Hyogo prefecture, so they are called Koshientaikai or Koshien and have been very popular for long years with not only students but also other people. 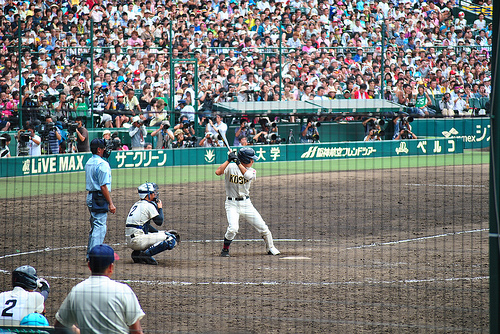 The most attractive point of Koshientaikai is the fair attitude of students playing baseball so hard. We are moved every year by them reminding us of adolescence. We will not know which one will win until the game is over. It is said that some devil is living in the Koshien when the the most expected team has lost the game or the situation of the game reversed at last. So they keep us watching till the game ends. Thus baseball is very popular in Japan. How about in your country? Hokkaido Sightseeing! From Lavenders to Sheep to Hokkaido University! Shiba Inu : Very Cute and Popular Around the World!